What Is Condo Receivership and What Does It Mean as a Homeowner? What exactly is Condo Receivership anyhow? As a condo owner or someone who is considering purchasing a condo, the term “receivership” is something that you should be very familiar with. It’s important to understand what Condo Receivership is and why it happens, as well as what you should do about it. Condo Receivership is a term applied when an entity, court or individual has been appointed to take over the management of a condo. This might include things like paying the bills for the condo, collecting income, scheduling repairs and other important administrative tasks. Typically, the receiver would be acting as the board of directors to ensure that everything with the condo gets taken care of. There are a few different reasons why a building or association might be placed in condo receivership. One of those is that there aren’t enough people to act on the board and affairs aren’t being taken care of. If the members aren’t able to elect or appoint a board, the owner of the condos can ask the court to appoint a receiver to ensure that the condo is being taken care of properly. Different states have different laws regarding receivership. For instance, in Michigan, receivers can be appointed to take over when the condo owners are delinquent in assessments. In Florida we are seeing it more and more often. There are scores of Florida Condominium Associations now being run by Condo Receiverships. As more and more condo owners are falling behind in condominium dues and delinquencies on the rise, more and more associations are finding themselves being run by court appointed receiverships. There are some situations in which a condo can be placed in condo receivership because warring factions aren’t able to agree on who is running the association or how it should operate. In a case like this, it’s important for the condo to be taken care of and since no one can determine who should be doing that, the court will do so by placing it in receivership. While this may appear like a mutual third party to assist in affairs, the costs to homeowners can be a burden resulting in potential condominium assessments on the few remaining condo owners currently paying dues. 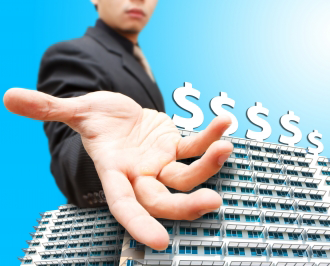 One of the issues with condo receivership is that the receiver can come at a hefty price. When courts place someone in receivership, they tend to go with larger companies that are accustomed to receiving troubled companies that they must manage. The problem is that those receivers must be paid and they’re typically expensive (they can cost $150 to $300 an hour) and they’re not necessarily most concerned with what might be best for the condo community. The issue is that a receiver typically doesn’t know the community the way others might, and might not really have a clue what they’ve been appointed to care for. If your condo is placed in condo receivership, there are a few different things you may have to worry about. There’s a chance you could end up paying higher dues, or that the maintenance needed on the condo will be deferred, etc. You should speak with the homeowners association or the board as well as the individual or company that has been appointed as receiver to find out as much information as possible. You may also want to contact a qualified real estate agent or real estate attorney to ask questions that you may not understand. Hiding doesn’t make it get better. Educate yourself and make sure you ask questions. Special thanks to Love And Pieces for the article recommendation.